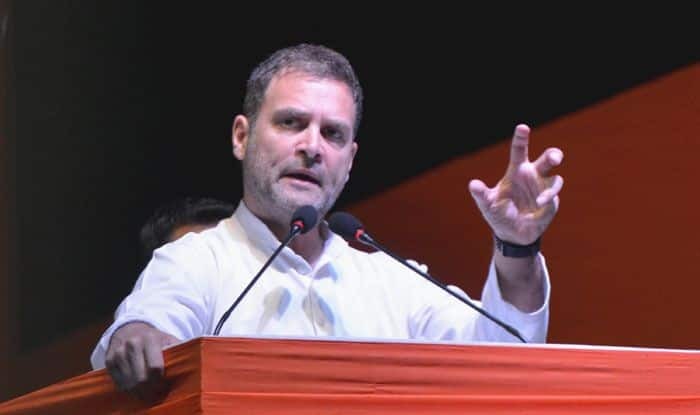 Rahul's outburst comes close on the heels of NITI Aayog Vice-Chairman Rajiv Kumar criticising the NYAY scheme promised by the grand old party. “It (Niti Aayog) has served no purpose other than making marketing presentations for the PM & fudging data,” Rahul tweeted. “We will replace it with a lean Planning Commission whose members will be renowned economists & experts with less than 100 staff,” the Congress chief said on Twitter. The current government had replaced the Planning Commission with the Niti Aayog. The Congress is seeking to revert to the original structure of the government think-tank. Rahul’s outburst comes close on the heels of NITI Aayog Vice-Chairman Rajiv Kumar criticising the NYAY scheme promised by the grand old party. Rahul announced Rs 72,000 per annum to 20% of the poorest families in the country if the Congress was voted to power. Reacting, Kumar sent out a series of tweets saying how the scheme was not feasible. He explained it thus: The cost of the Minimum Income Guarantee scheme at 2% of GDP and 13% of the budget will ensure that “the real needs of people remain unsatisfied”. Meanwhile, this attack on the Congress landed Kumar in trouble with the Election Commission. The poll body gave him a notice over his remarks against the Congress’ poll promise of minimum income guarantee.